follow. As a young girl that was just what she had to do. Jasvinder is now at the front line of the battle to save women from the honour-based violence and threat of forced marriage that destroyed her own youth. 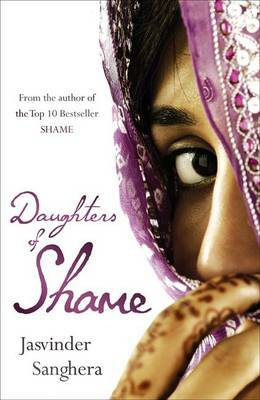 Daughters of Shame reveals the stories of young women such as Fozia, aged only fifteen when her family tried to force her into marriage; Shazia, kidnapped and taken to Pakistan to marry a man she had never met; and Banaz, murdered by her own family after escaping an abusive marriage. By turns frightening, enthralling and uplifting, Daughters of Shame reveals Jasvinder as a women heedless of her own personal safety as she fights to help these women, in a world where the suffering and abuse of many is challenged by the courage of the flow. EXCERPT- Sometimes I lie awake at night thinking about Uzma Rahan. darkness, trying to lie still, fighting the temptation to toss and turn. Lying there in the silence of the night, I see what the policemen would have seen when they found her in her bedroom, four weeks after she died. ANUSHREE SAYS- As the title suggests it is a book based on the word ‘Honour’. As we all know, it is an abstract word, but it has serious consequences in one’s life. The story is written by a lady who herself was coerced into forced marriage at a tender age of fifteen, instead of giving in to the situation, she ran away from her house and decided to fight this evil which has changed the lives of many youngsters. It is apparent from the synopsis that the book contains stories about Fozia, Shazia and Banaz. story reveals this. Similarly Mayas tale left me numb. The best thing about non-fiction is that it does not lose its grip at all. I found the book to be an emotional journey of a girl who turns into a women at a very young age and decides to help others who are suffering. It is an honest attempt and leaves a mark on one’s mind. A few parts will leave you numb and are bound to tinker the emotional buds. According to me, a must read. This seems like an interesting read. I might pick it up. Scary. Terrifying realistic fiction or non-fictional real-life accounts leave me scarred. This book probably opens eyes that the world tries its best not to even look at..
kudos for the review ! really neat ..
About the book, am totally curious now.. know its gonna be bit hard to read but i think am ready for it .. This I have to read! I love such inspirational non-fiction books... The fight, the struggle, the stark reality..